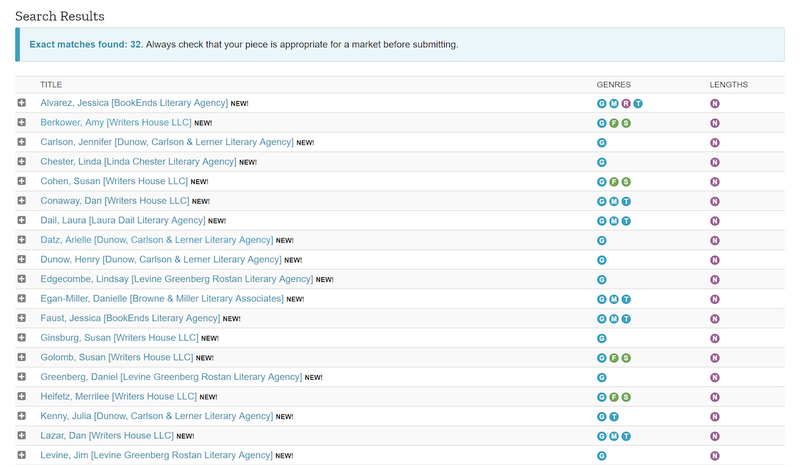 Duotrope's Agent Search feature lets you search for active literary agents on over two dozen criteria, including genre, length, and pay. Find the best literary agents for your fiction. Learn more.